The girls have set up shop in our playroom and me and Brian are their best customers. They are selling anything they can - including Halloween candy and would even like tips! They asked me to leave my contact information as I was checking out, too. Notice the cat mannequins they made, "just like mommy". 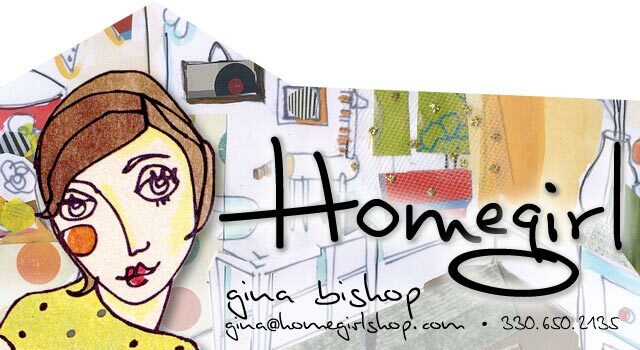 Gina, I love this...when I was little I had a "store" called the My Stars Bookmark Shop. Back when rubber stamping was the rage, I made bookmarks like there was no tomorrow. I set up shop in our foyer, designed flyers for my dad to photocopy and distribute at work, and made a recorded greeting on my tape recorder that would play whenever a "customer" would enter the store. I don't think tips even crossed my mind, though...must be the Starbucks generation!!! Great work Lila and Edie! This made me smaile this AM - Thanks so much for commenting and sharing!!! It was in your blood! :) I cannot belive you had a recorder -too funny! Lila has business cards that she passes out - a possible furture in design, hmmm???? I, too, was a business woman when I was younger and sold easy bake oven creations door to door.